True to the vision of PTB – I wanted to create a collaborative effort – including some of the greatest blog posts that PickTheBrain has to offer, with a focus on Productivity. Each chapter is complete with blog entries from some of PickTheBrain’s (and the web’s) best self development bloggers* and I am so thrilled and honored to be able to include their fantastic work in our first book – like everything about PTB I wanted to stay true to our vision and mission and make this book, just like the blog, a collective effort of voices that really have something to say, from around the world. I am so proud of the final product and hope you’ll take the time to enjoy and benefit reading it as much as I did creating this – and of course I want to once again thank HyperInk for their tireless devotion to this project. The book is available starting NOW and featured at an incredible opening price of $2.99 – buy it for yourself or someone you love and will give you the option to send 4 copies for FREE to friends! As always, I would love your thoughts and feedback! 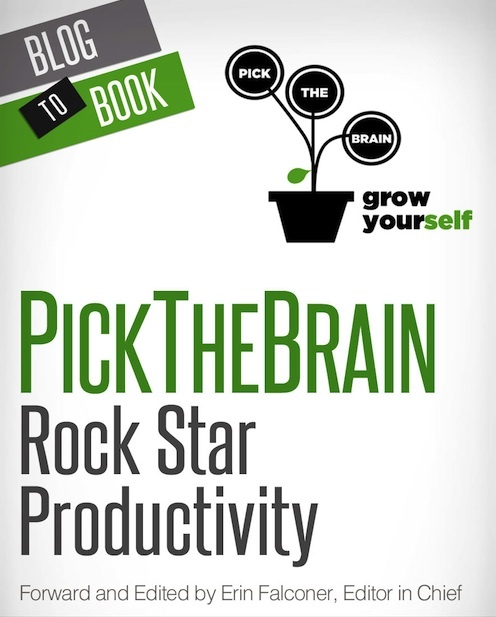 To start being more productive today, click here now to get your copy!